Previous postSpeaker Series: Professor Rob Simmons - "Are Sports Stars Overpaid?" The Holocaust Educational Trust is a truly remarkable charitable organisation whose aim is to ‘educate young people of every background about the Holocaust and the important lessons to be learned for today. Since 1999, over 39,000 students and teachers have taken part in the Holocaust Educational Trust’s groundbreaking Lessons from Auschwitz project. Based on the premise that ‘hearing is not like seeing’ this four part course explores the universal lessons of the Holocaust and its relevance for today. The projects are designed to increase knowledge and understanding of the Holocaust and highlight for young people what can happen if prejudice and racism are ever allowed to become acceptable. In recent times, the Holocaust Educational Trust’s chief executive, Karen Pollock MBE, has been tireless in her criticism of anti-Semitism within the Labour Party. Her fearless challenge to Corbyn and his supporters has served to highlight behaviour which is as unsettling as it is repugnant. I should declare something of an interest at this point. I am a historian with a particular interest in Holocaust education. Furthermore, for the past eleven years I have worked as an educator for the Holocaust Educational Trust’s Lessons from Auschwitz projects. I must have made over thirty trips to Poland with the Trust and, consequently, I am well placed to attest to the transformative impact that these projects have on all those fortunate enough to participate. 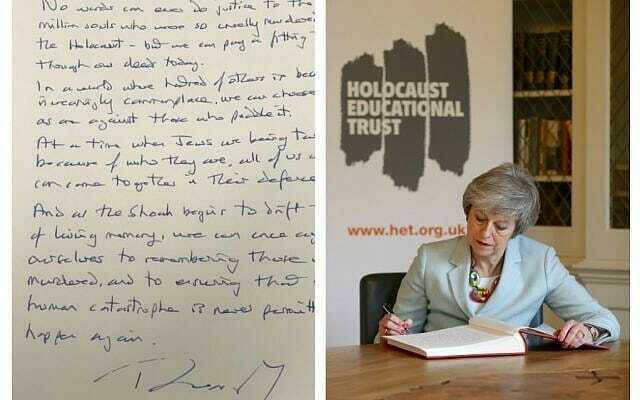 On 23rd January, our embattled Prime Minister, Theresa May took time away from her Brexit woes to sign the Holocaust Educational Trust’s book of commitment. She promised to tackle ‘growing hatred’ and she wrote ‘As the Shoah begins to drift to the edge of living memory, we can once again commit ourselves to remembering those who were murdered, and to ensure that such a human catastrophe is never permitted to happen again’. Great words, especially considering that as Assistant Commissioner Neil Basu has only recently observed, the febrile atmosphere surrounding Brexit appears to be giving rise to divisions and hate crime. We should fear the rise of the far right and the danger presented by the radicalisation of young people. Recent events in New Zealand provide a tragic reminder if one was needed. For some, the growing tide of unrest which accompanies our current political uncertainty, is another very real cause for concern. From April 2019, there will be a change to our funding terms and conditions as issued to us by the Department of Education which means that students and teachers form independent schools will no longer be able to participate. 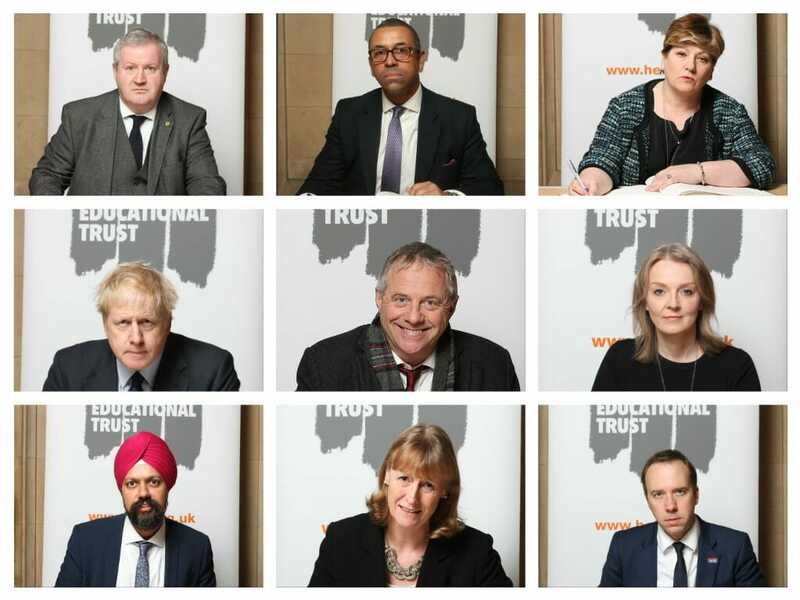 Let us be absolutely clear, this is a decision made within the Department of Education and it is not one which the Holocaust Educational Trust can readily challenge without endangering their own core funding. The Trust remains resolutely committed to their stated aim which is to educate young people from all backgrounds. However some faceless bureaucrats in Whitehall have made a decision which directly challenges the universal relevance of Holocaust Education. Perhaps they believe that the vital lessons to be learned from the Lessons from Auschwitz project are only relevant to children who attend maintained schools. Perhaps they have concluded that growing up on a north Blackpool council estate and, by virtue of a bursary, attending a school such as Rossall makes you much less deserving and altogether less worthy than a child who lives in a house worth millions and has the good fortune to live in an outstanding catchment area in London. Or maybe they are trying to make up for having spent £111 million of Treasury money on revamping the Old Admiralty Buildings, which it appears they are now unlikely to occupy. Just some of the MPS who signed HET’s Book of Commitment – that commitment now looks a little frayed around the edges. Or maybe this is just a particularly pernicious and disturbing example of the current trend that asserts that it is a virtuous and honourable pursuit to bash independent education. The media has an insatiable appetite for promoting crude generalisations of our sector. In this increasingly polarised political landscape, journalists delight in the theatrical excesses of figures such as Boris Johnson and Jacob Rees-Mogg – it makes good copy. They paint a picture of a world in which toffs stride around in morning suits swishing their silver topped canes and clutching motheaten teddy bears. It is a world in which Old Etonians and Old Wykehamists (those who attended Winchester) compete for position whilst ruthlessly exploiting the old boys network. In short, it is a fictitious construct populated by absurd pantomime villains and foreign oligarchs of untold riches. Of course it is nonsense but we should not underestimate the impact of such dangerous narratives. I would challenge those responsible for the crass decision to withdraw HET’s funding for independent school children to get on a train and come to Blackpool. Leave your plush offices and spend some time with us on the Fylde Coast and you will see why our children (who come from a huge variety of backgrounds) deserve to have the same opportunities to learn the most important lessons that history can teach us as any other children in the UK. Will they come? I doubt it but the invitation is there. The decision to revoke funding has, thus far been met with deafening silence. It is demonstrably unjust yet there is no political will to challenge it. The government is committed to providing support for Holocaust Education so long as the young people concerned attend the right sort of school. It is a decision which does not appear to be open to scrutiny.